It has long been said by experts that fiber is good for a healthy diet and we must increase its intake for a number of health benefits. Since fiber is found only in plants, it means that including more of vegetables, fruits and whole grains can help you. Dietary fiber is of two types: water soluble and water insoluble, and they both contribute to the healthy functions of the body. Soluble fiber refers to those components which easily dissolve in water, and as they pass through the digestive track, they get fermented and broken down into products which then contribute to regulating blood sugar, blood pressure, heart health and maintaining weight. Most weight loss regimes always advise to include more dietary fiber because they tend to make you feel full for a longer time, thus keeping a check on your food intake. 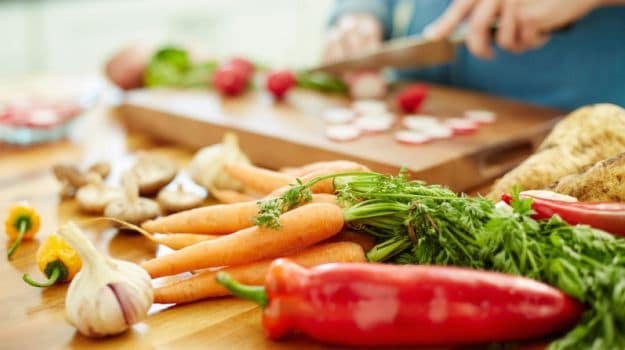 A new research done by Georgia State University says that a diet missing soluble fiber promotes inflammation in the intestines and poor gut health, leading to weight gain. Moreover, incorporating soluble fiber back into the diet can restore gut health, the research conducted in mice showed. Foods rich in soluble fiber include oatmeal, nuts, beans, apples, blueberries, chia, barley, soybeans, peas, broccoli, root tubers and root vegetables, among others. "If our observations were to prove applicable to humans, it would suggest that encouraging consumption of foods with high soluble fiber content may be a means to combat the epidemic of metabolic disease," the researchers said. They examined the effects of diets varying in amounts of soluble and insoluble fibres, protein and fat on the structure of the intestines, fat accumulation and weight gain in mice. They found that mice on a diet lacking soluble fiber gained weight and had more fat compared with mice on a diet including soluble fiber. The intestines of mice on the soluble fiber-deficient diet were also shorter and had thinner walls. These structural changes were observed as soon as two days after starting the diet. Introducing soluble fiber into the diet restored gut structure. Supplementing with soluble fiber insulin restored the intestinal structure in mice on the soluble fiber-deficient diet. Mice that received cellulose, an insoluble fiber, however, did not show improvements. The data suggest a difference in health benefits between soluble and insoluble dietary fibers, the researchers stated. The study was published in the journal American Journal of Physiology.